Out of all the relationships in your life, there is one relation that is truly special and that is the one with your sibling. This bond is a mix of sweet and spicy. What better time than Rakhi 2018 to celebrate this special relationship. 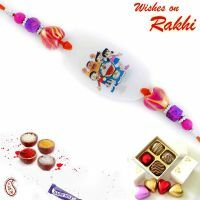 This Rakhi 2018, celebrate the lovely bond with your sibling by choosing a gift from our collection of Rakhi gifts 2018. On this day, the brother takes a pledge to protect his sister against all odds and in turn, the sister prays for her brother's well-being. 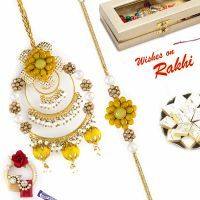 There are so many special things about the occasion of Rakhi 2018. It is the day siblings come together and spend some quality time with each other. Besides catching up with each other, exchanging of gifts is another heart-warming gesture of rakhi. Sisters can choose from a wide range of Rakhis for their brothers. 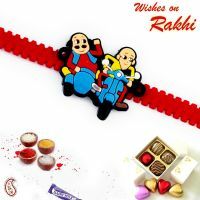 There is a wide range of thread rakhi, silver rakhi, kids rakhi, rakhi with cartoon characters and so on. The list is simply endless. Rakhi is just a few days away. 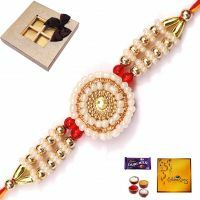 Have you thought of buying rakhi gifts 2018 for your sibling? If not, this is the best time to plan as our collection is getting bigger by the day. 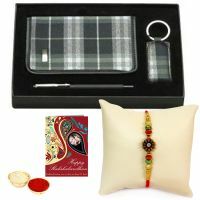 With so many rakhi gifts online to choose from, you may be spoilt for choice. Raksha Bandhan comes once in a year! Why make it boring by simply buying a bouquet? 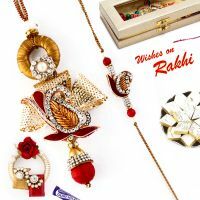 Try to choose a new and unique gift for your sibling from our collection of rakhi gifts 2018. 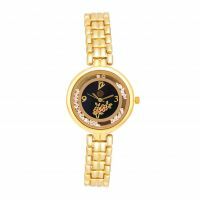 If your sister is a fashionista and loves to update her wardrobe time and again, you can choose from our collection of apparels and jewellery. 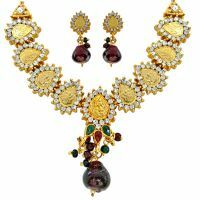 Brands like Sukkhi, Surat Diamonds, Jagdamba Pearls have a wide variety of fashion jewellery to choose from. This could be one of the Rakhi gifts for your sister. 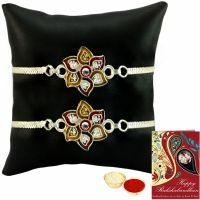 Looking for more Rakhi gift ideas? 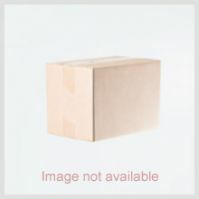 You can choose from gold coins, silver coins, personal care items, handbags, wallets, watches and so on. If your sister is a foodie, you could also look for a rakhi gift from our home and kitchen appliances section. 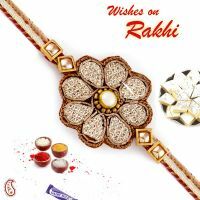 Besides buying rakhi for brother, you can choose a rakhi gift 2018 from our collection of rakhi gifts online. Buying Rakhi gifts for brother is actually very easy. You can choose from our range of men's accessories, gadgets, gift hampers and so on. Not just for adults, our store has an exhaustive collection of rakhi gifts for children. 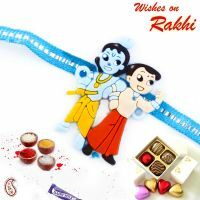 If you have a little brother or sister, simply log on to rakhi.rediff.com and visit our 'rakhi gifts for children' to select a rakhi gift. 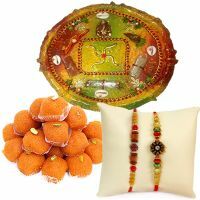 Apart from gifts, our store also has a wide variety of pooja thalis like rakhi pooja thalis, dry fruit thalis and so on. 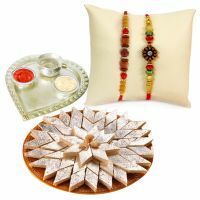 These thali contain everything you need to perform the rituals of rakhi 2018. 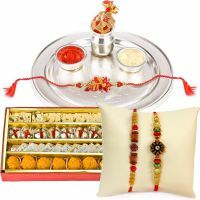 Send Rakhi and Rakhi Gifts Online to India and Worldwide - Distant Siblings Need Not Worry! 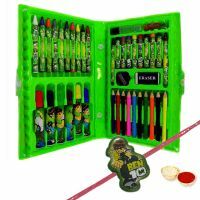 Even if you are away from your brother or sister, Rediff Shopping provides you with a chance to send Rakhi or Rakhi return gifts to your sibling's doorstep. We have partnered with efficient logistics partners for timely delivery of Rakhi gifts as we believe that distance should not ruin the fun. 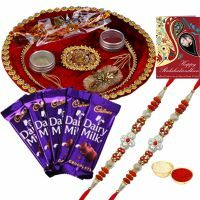 We can get your Rakhi or Rakhi gifts 2018 delivered anywhere in India to most cities and small towns. Even if your sibling stays abroad, we promise to deliver your gift at their doorstep just in time. 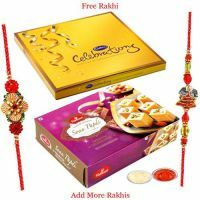 You can send Rakhi gifts to USA, UK, Australia and the rest of the world. 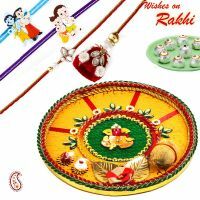 At Rediff, it is a proud moment for us as siblings from all over the world come to Rediff Shopping and choose rakhi gifts for their siblings. With our prompt delivery, distant siblings can be sure of timely delivery of their gift around Rakhi 2018. The number of sisters who send Rakhi to USA or send Rakhi gifts to USA is increasing. 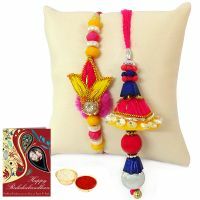 There is also a large number of sisters living abroad who send Rakhi gifts to India via our shopping portal. 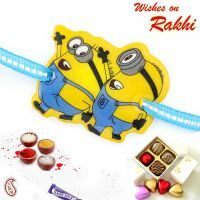 We request distant siblings to start shopping for Rakhi gifts 2018 as it would enable us to initiate the delivery process faster.